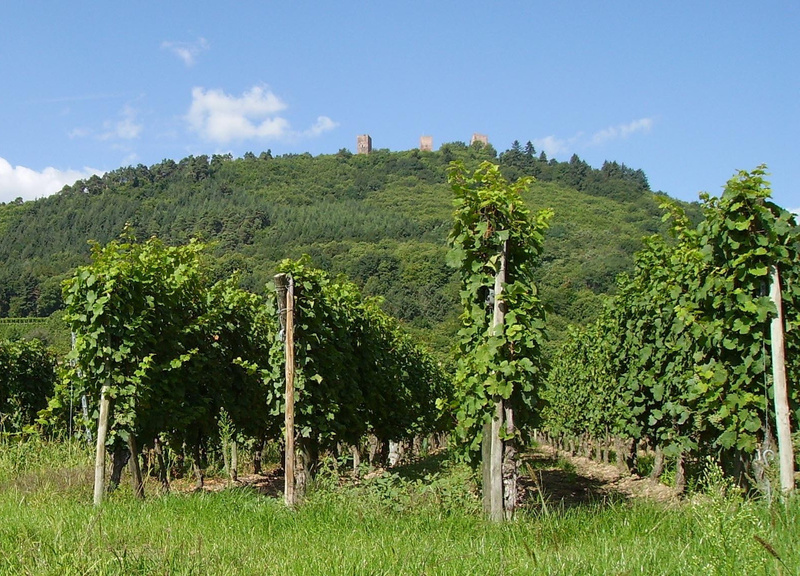 The main portion of the Alsatian vineyards runs along a line of over 100 kilometers through the foothills of the Vosges Mountains, from Marlenheim in the north to Thann in the south. Alsace wines are produced using the seven varietals of the Alsace AOC terroir: Sylvaner, Riesling, Muscat, Gewurztraminer, Pinot Gris, Pinot Blanc and Pinot Noir. Each varietal gives different wines, ranging from dry whites to spicy, fruity whites to fruity red wines with low tannin content. The tracking, verifying and setting up of production rules, along with good growing practices, are an essential pillar of quality for Wolfberger wines. Technicians in the Wolfberger vineyards watch over quality optimization of 13,000 parcels, assuring traceability of all the grapes that are delivered during the harvest. To do this, each parcel is identified and indexed on an intranet file (varietal, planting date, grafting, etc) with tracking in real time of all the operations done by the winegrower (pruning, flowering, treatment, trellising, thinning out the leaves) and verification of the means used. This in-depth verification and tracking assures, at the base, optimal potential of the parcels. The style of vine training used in Alsace is the Guyot simple (only one cane) or double (two canes). The Guyot simple is quite easy to set up. It restricts the spread of fruit on the slopes and helps get the right number of grapes from the least fertile vines and high production from the others. The Guyot double is more time-consuming to set up, but works better for the more vigorous vines. Sometimes disbudding is done on the main cane to allow better air circulation among the grape clusters, control the sap and limit the risk of cryptogrammic diseases. Because of the Alsatian climate, the vines are trained at a far greater height above the ground than in other winegrowing regions of France. The main part of the stock is trellised at 80-90 centimeters above the ground, rising to a height of 1.8 meters. This considerably lessens the risk presented by frost. The grape harvest begins with the Alsace AOC Crémant. 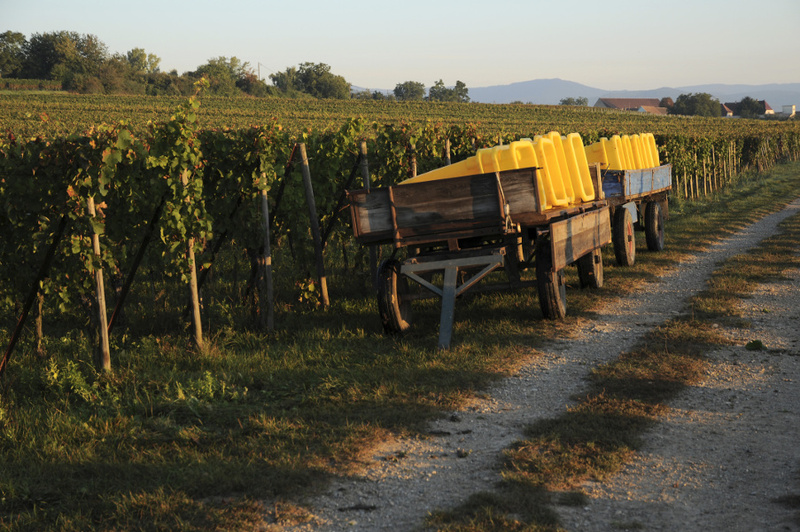 The fruit is harvested right at the beginning, when the grapes are at their best balance of ripeness and alcohol level. Vinification of crémants requires two fermentations, one in the vat and the second in the bottle. 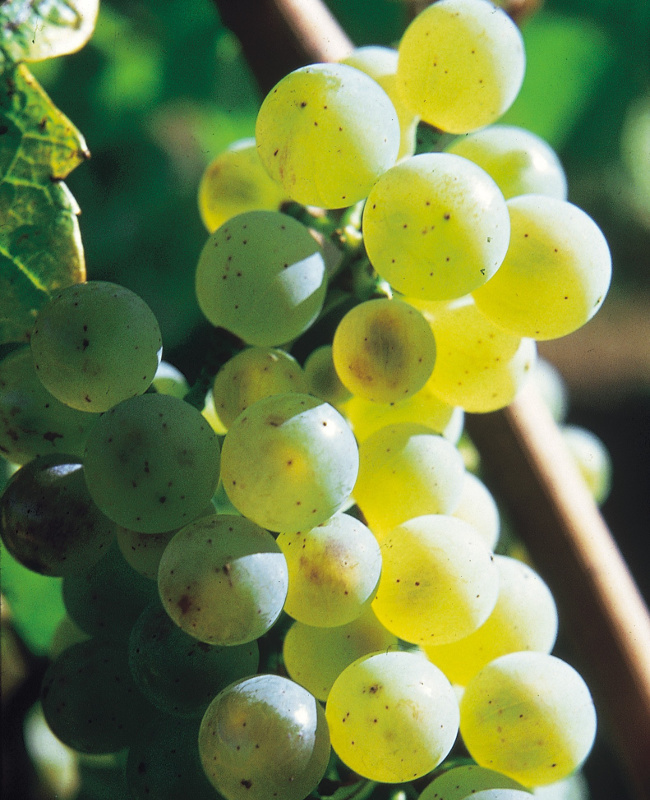 The potential alcohol content of the grapes used for making the crémants mustn’t be too high, which is why they are harvested before the Alsace AOC’s and the Alsace Grands Crus. Wolfberger is certified NF V01-005 and NF V01-007, in addition to ISO certifications.